I was in Cameroon this week to do a school consultation visit at Rain Forest Academy. 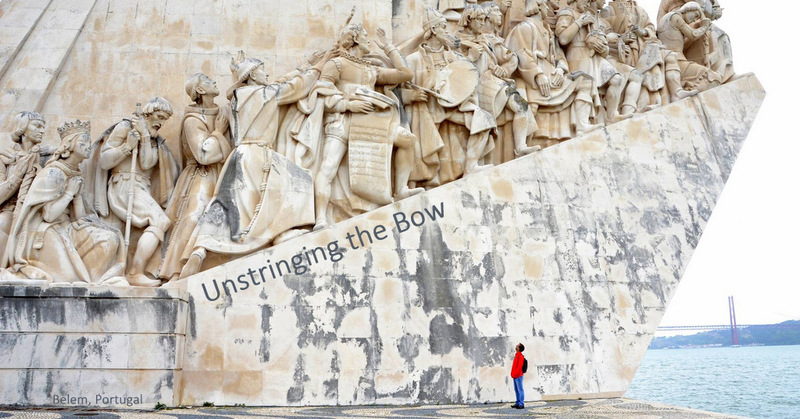 It was a very busy time - but between visiting the school, interviews, observations, and report writing I made a bit of time to "unstring the bow" and make a few sketches. The sketch below is the courtyard of the guesthouse where I stayed. 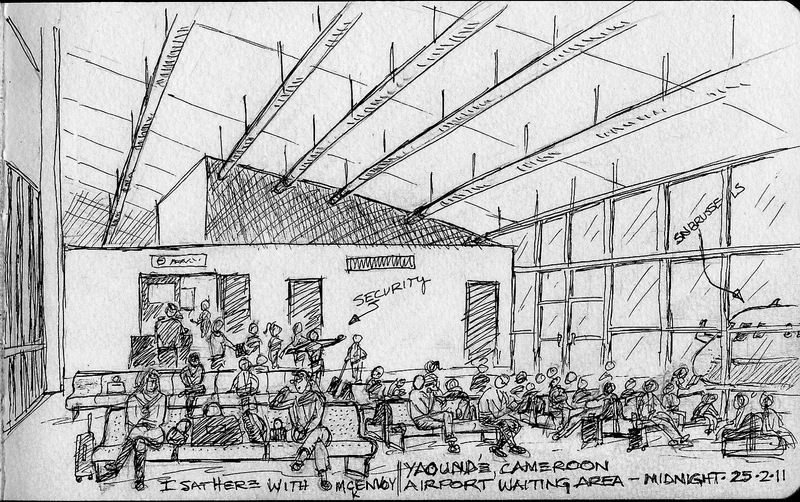 A 7 year old Cameroonian/American boy, McKenvoy, sat beside me in the airport waiting area and pulled out his spiral bound sketchbook and started to draw pictures. I said, "Hey, that's a good idea" and then I got out my sketchbook and then the two of us sketched while waiting for our flight to Brussels. What a great way to pass the 2 hour wait we had between 11:00pm and 1:00am waiting to board. McKenvoy if you're out there - it was nice to meet you. 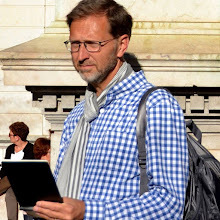 I wish I had a photo of the two of us sketching. The flight from Bussels to DC was a long one. What better way to pass the time than sketching. 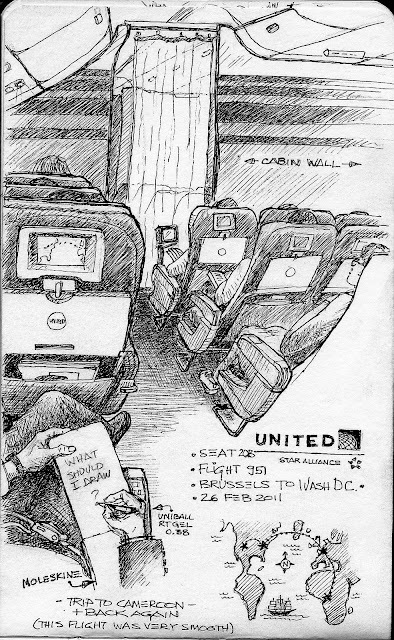 How many of you have sat in seat 20B? I was tempted to title this "so close, yet so far away" to refer to the Business Class seats just three rows ahead of me. Oh how I wished I could have had the extra room to lay back and rest. 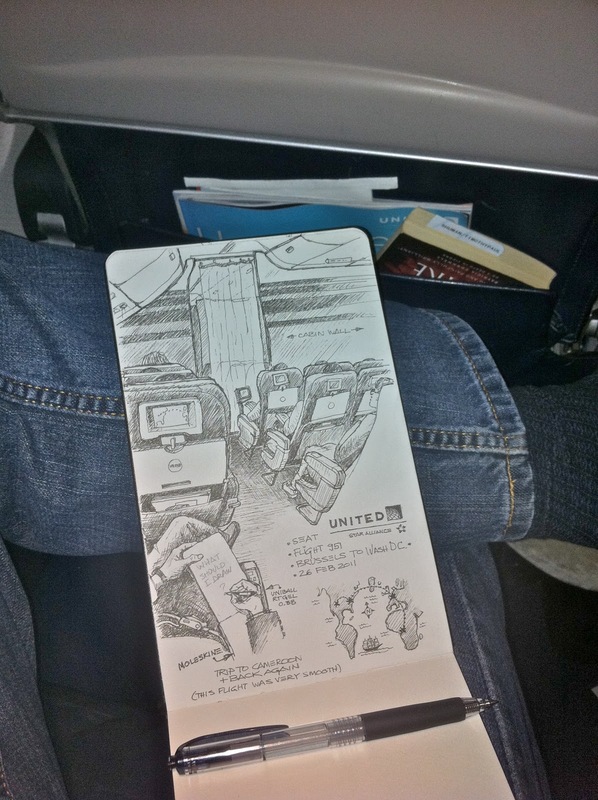 Sketching on the airplane. On my final flight to Colorado - a steward saw me sketching and made a big scene about how good my work was - she then told the couple across the aisle, her colleague, and then told a guy at the back of the plane who was also sketching on the flight. 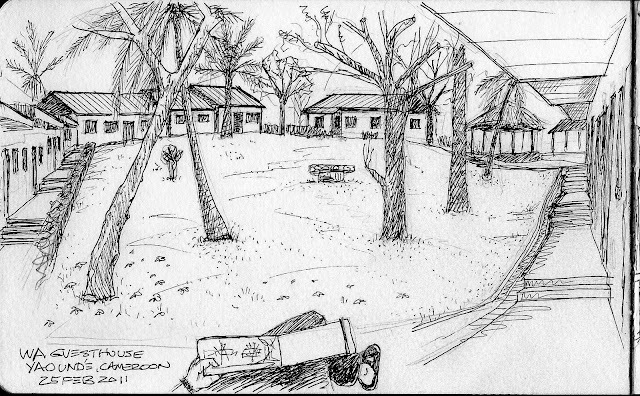 Later Scott came from the back of the plane, sat beside me, showed me his sketches and we had a very nice talk for most of the rest of the flight. Hey Scott, it was nice to meet you, man. Happy sketching!